At the moment I have an IPhone, IPad and a MacBook. It is good technology that helps me educate and develop myself in the 21th century. I never have problems with it; however, last Friday I went to a conference where Jenny Chan showed a movie. The movie was about the biggest company nobody never heard of namely the company that produces Apple materials with 230 million workers: Foxconn in China. In 2008 Foxconn become negative publicities in the newspaper. The death of an employee completed with financial compensation for the family became a too low threshold for the employees. The ‘money for suicide’ was the only solution for their family to escape from the factory but create a better future for their family. Kin who is one of the victims says that the reason why they committed suicide is because the production pressure was too high. Is there no alternative instead of working for Foxconn? The answer for that question is simple: Foxconn promises a fantastic career with a future! Numbers of jobs offered in China are less. You get an income; so you can support your family. Furthermore, you are lucky if you have a job because there is an enormous offer of immigrants and surplus labour in China. (Robert W. Cox) The social and political power context of production determines the what and how of production. In each mode there is a dominant and subordinate group of people. The dominant group controls production; the subordinate works under its control. We know that these products are made in a factory where the work conditions are below the level. But what does this mean to me, the Apple consumer? I have mixed feelings about the inequality worldwide. On the one hand, there are countries where consumers have needs and thus supply luxurious products. On the other hand, the demand for producing these products for the consumers is necessary for the economy. If there is a new “hot” IPhone, the production will increase and the employees need to work harder without having breaks. It is not fair that people have to live their lives like here in the factory Foxconn. The factory wants to satisfy the demand so the production has to increase, no discussion. The movie from Jenny Chan pulls no punches: it is unfair and definitely not acceptable. At the moment the movie from Jenny Chan ends I feel something vibrating: it is my IPhone… Since that moment my IPhone has a new look. 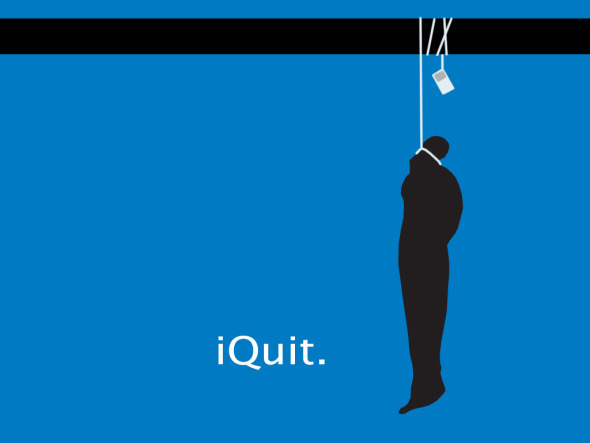 Foxconn stopped compensating employees for suicides in 2010. They were also in the public eye before 2013, as far back as 2008. Some of your information here is wrong, you should go back and fact check.